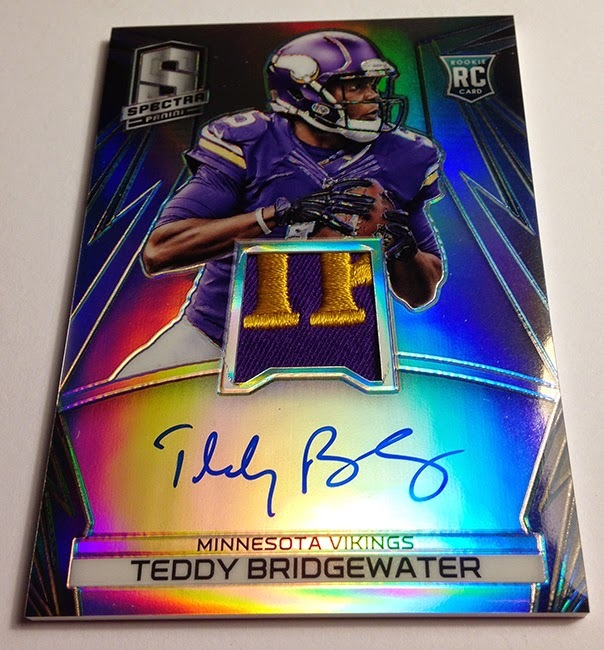 2014 Contenders Football, 2014 Immaculate Football and now 2014 Spectra Football marks the third big hit in a row for Panini. Every 17 card box ($275) delivers ONE 2014 Pepsi Rookie of the Week card, two base cards (numbered to 199 or less), four Prizm Parallels, four Autographs and six memorabilia cards. 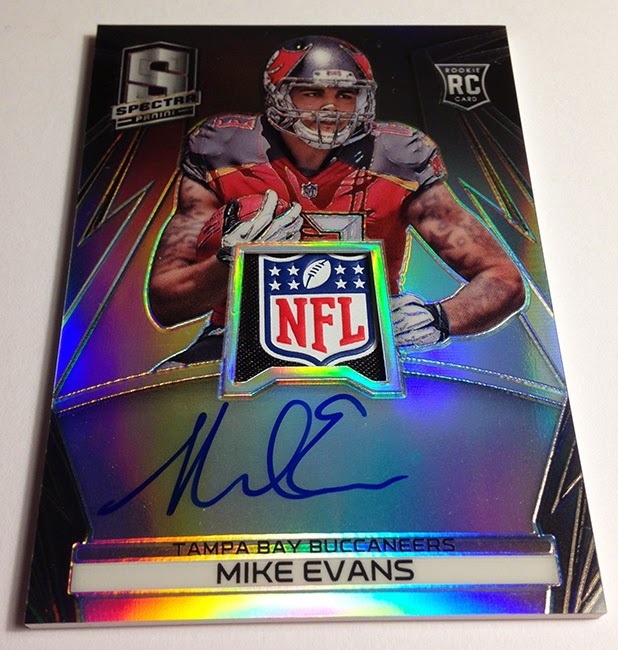 2014 Spectra Football hits Sports Cards Plus' shelves on Wednesday about 1:00. You don't have to spend a ton of money to own a couple of these beautiful cards. 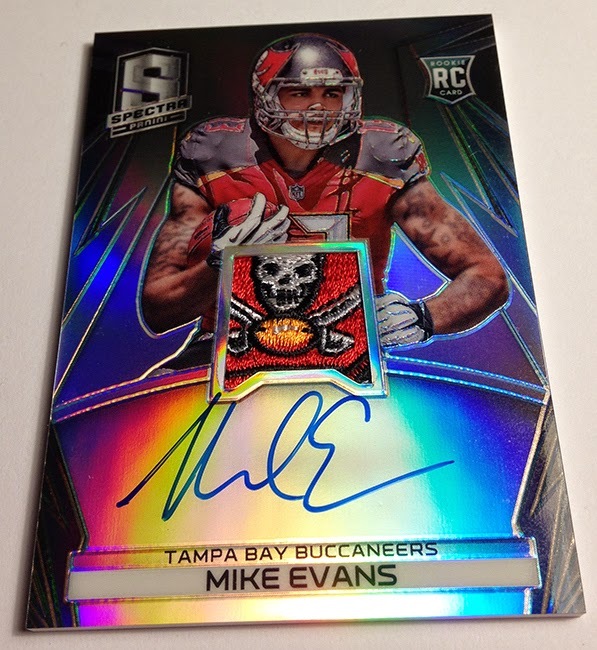 We will conduct a 2014 Spectra Football BOX GROUP BREAK on Wednesday at 6:00. Every $35 Spot (8 spots per box) gets you TWO Random Cards from a factory sealed box. Call Charlie at 210-524-2337 to purchase your spot. Don't be the guy who says, "That could have been my picture." Go to Sports Cards Plus and pick your box from The BEST CASES in The Hobby at the LOWEST Price in The Galaxy (all of Texas).